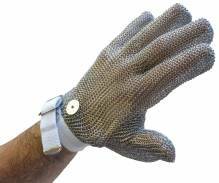 Protect yourself from the sharp edges of the tools and appliances you use! 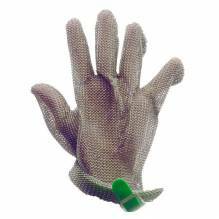 Zanduco carries a large variety of gloves, including cut resistant and mesh, as well as stainless steel mesh aprons! 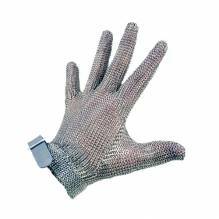 With gloves available in small, medium and large, we have a wide selection to fit any specific needs! Reversible styles available with varying colours, to ensure sanitation and organization. 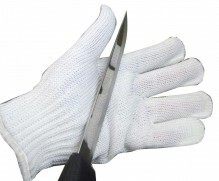 Wearing protective gloves helps prevent you from getting injured from even the sharpest knives! Feel free to sharpen your knives whenever you need to, without having to worry about injury! 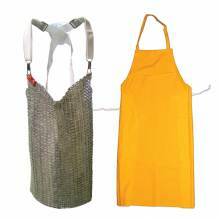 Stainless steel mesh aprons made of interlocking stainless steel rings are both flexible and strong, comfortable enough to wear for any lengthy task! Wear a butcher apron to provide yourself and your employees an extra layer of protection against the many hazards in manual cutting tasks and operations. These aprons are best suited for butcheries and commercial and industrial meat processing operations, as they provide extensive cover to most of the body. Not what you are looking for? Zanduco carries a variety of chef aprons and cleaning protective gear as well!